My household is busy. We are a large(r) family, we homeschool and we are involved in extra curricular activities during different times of the year. Does this sound familiar to you? Many of us are busy families. I am always on the hunt for real easy recipes that make dinnertime easier. I love things that I can drop into the crockpot and walk away from. When I come back hours later, dinner is just about done. 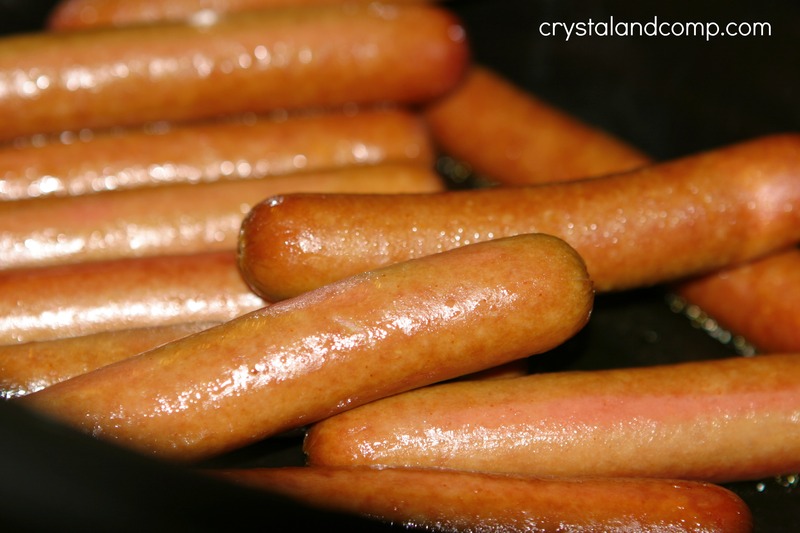 Have you ever cooked hotdogs in the crockpot? 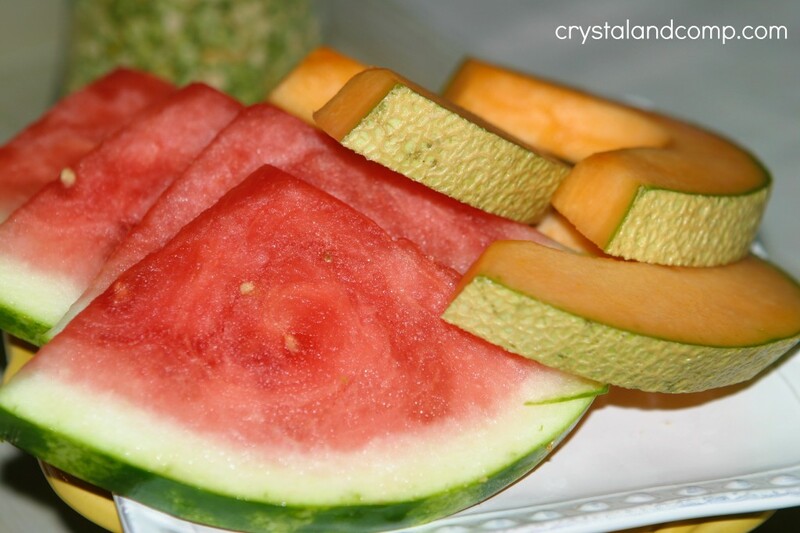 It is perfect for occasions when you’re serving a crowd, like a birthday party, etc. It is also perfect for a busy night during the week (or weekend). Want me to show you how? Toss all of the hotdogs into the crockpot. Lay them flat if you can trying to keep them in a layer. With two packages of hotdogs I had a few overlapping on the ends in my 6 qt oval. No biggie. If you’re cooking for a crowd, I would cook them in a 4 qt. crockpot and stand them on their ends. You can cram a bunch in there that way. 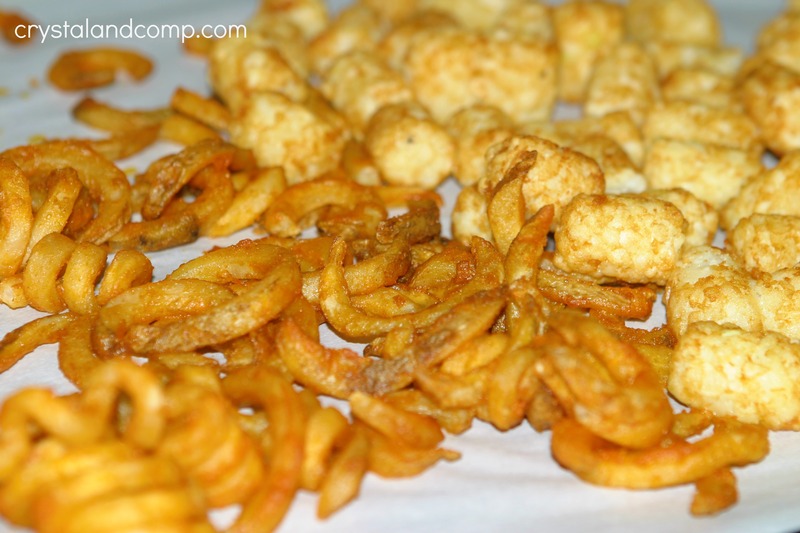 About 25 minutes before we were ready to eat I heated up some tater tots and curly fries in the oven. Usually I offer one or the other, but this time I cooked both for some variety. I plated up fresh fruit. Dress up your hotdogs just like you would any other time you cook them. I like mustard and ketchup. I also like shredded cheese and sweet relish. 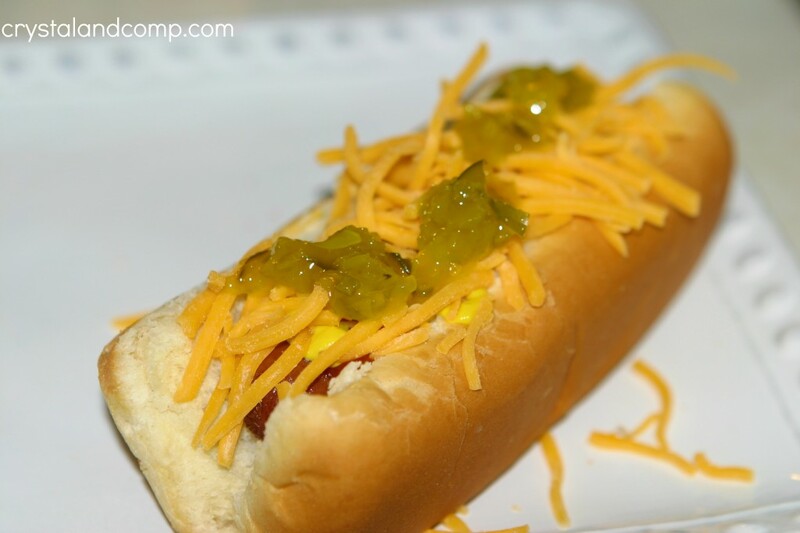 One of the great things about hotdogs is everyone can customize their own without much effort. A couple of my kids like theirs plain and dry. Plate the hotdogs up with the fresh fruit and tater tots or curly fries. 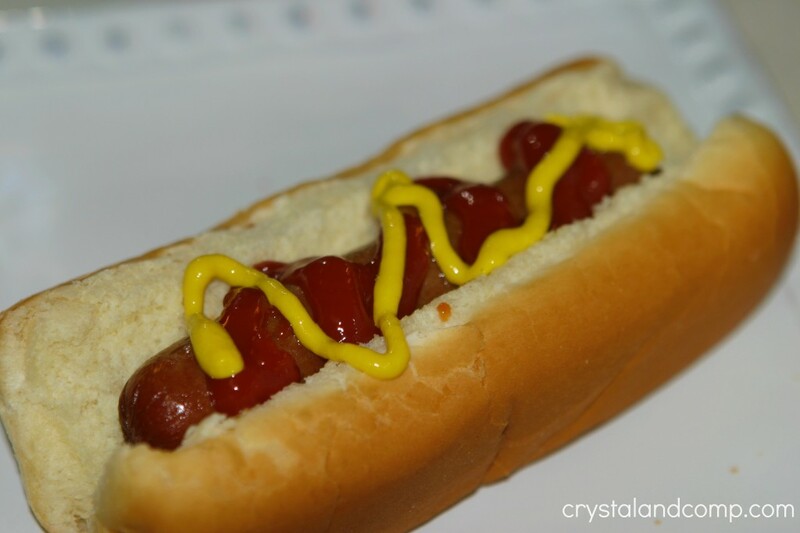 Any leftover hotdogs can be stored in a ziplock bag in the fridge and make perfect lunch options for during the week and are easy to reheat. How do you like your hotdog? Do you struggle with getting dinner on the table for your family? Check out my How to Meal Plan ebook. I will teach you how to meal plan in 5 simple steps. 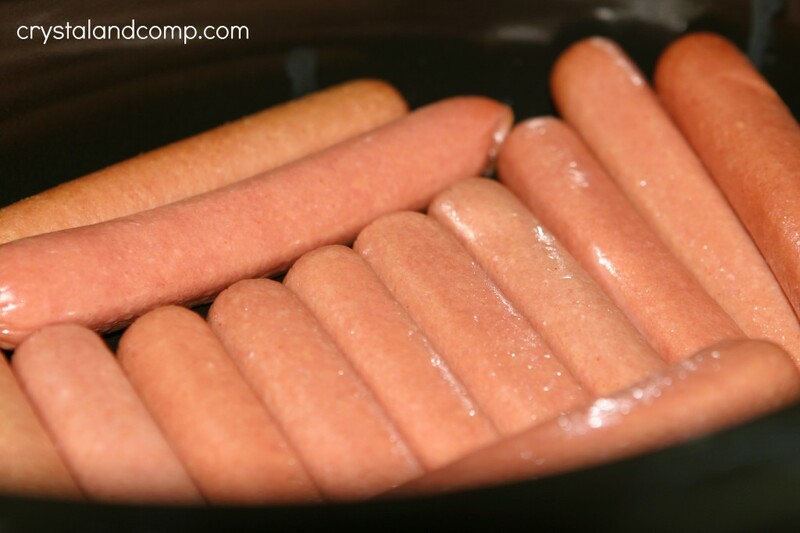 Michelle Duggar brings hot dog fixins’ to church fellowship a lot. Works great, for sure! 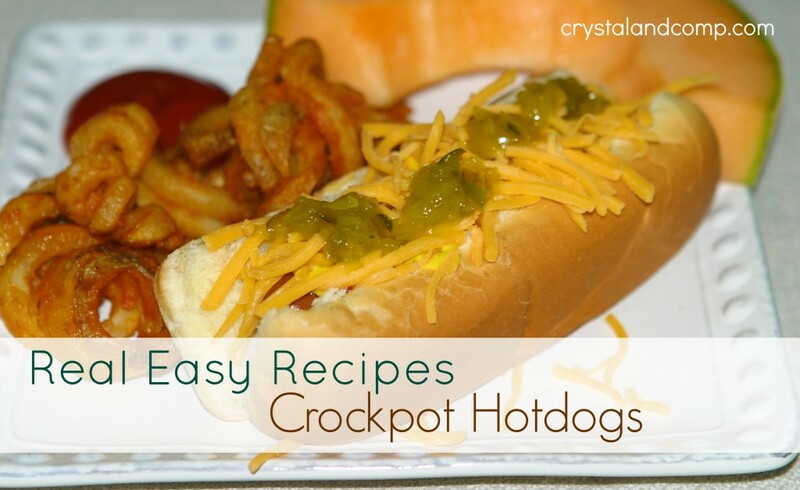 I had no idea you could cook hot dogs in a crock pot! Great idea for a crowd! Thanks for linking up to Monday Funday! 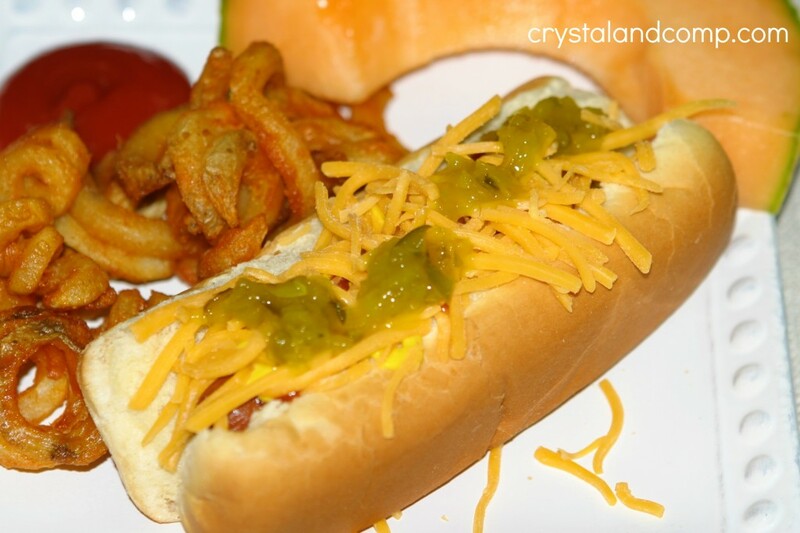 A great use of the Crock Pot, Hot Dogs are always a hit with our bunch. Thank you so much for sharing your delicious recipe with Full Plate Thursday.